Take your cannabis marketing to new heights. Rebel Cannabis Marketing and advertising agency can set your marijuana brand apart. Why hire a traditional cannabis marketing company for your marijuana products? Hire a specialized team of industry experts. Our multi-talented team members have many years of experience in the cannabis industry. Since the beginning of the legalization process, we have helped many companies make a mark on this new industry. We are here to help you take your brands to the next level. In an industry where many paid forms of marketing are banned, you need a creative team to get your message out! At Rebel Cannabis Marketing, we think differently. We know the customers you are trying to attract better than anyone. For decades, the team has honed the ability to produce traffic for e-commerce systems for global companies in the agricultural, cosmetics, food, and consumer goods industry. With creative thinking and experience, our techniques have proven very successful in creating and building brands that matter. Whether you need a brand developed from scratch or just a revamp of your current strategy. We are here to help. Consultations are always free. To start the conversation, let’s talk. Contact us here today or email us here! Micro Processors Needed! Apply now! Are you considering becoming a micro cannabis cultivator or processor? Thinking about starting a microprocessing business to get into the cannabis industry? Have a cannabis product the market loves but you want to enter the legal system? We have buyers waiting, that offer incredible financing and grant options to help you get into the industry. Production contracts to create a brand for your craft cannabis products. Make edibles, concentrates and more as the licenses become available. Call today! We currently have far more contracts available for micro cultivation and processing than we have producers! If you are in the licensing system, let’s talk today! Do not miss out on a great contract that can make your business profitable from day 1. Toronto, Ottawa, Calgary, Hamilton, London, Edmonton, Vancouver, Winnipeg, London, Windsor, Regina, Victoria, we get you noticed! Cannabis SEO in any industry is important, but in marijuana, it can be the vehicle to success gaining customers and sales organically. In the cannabis industry, most of the traditional forms of advertising are banned and not available to easily promote a company like in most sectors. Therefore your SEO and SEM campaigns are more important than ever and will dictate your success at marketing your products in this highly competitive marketplace. 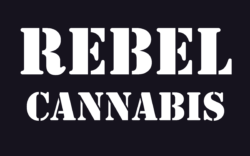 Rebel Cannabis Marketing maintains thousands of top Google rankings for our clients and grow that number of ranked keywords each and every month. Do you know what keywords your website ranks for? 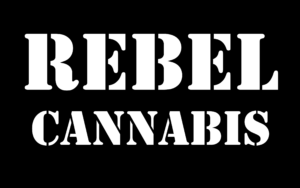 Rebel cannabis offers free SEO Reports! Simply fill in the form below to receive your site audit from us. usually takes less than 24 hours to receive. Have a new dispensary license and not sure how to set your marketing on fire? Looking to position your brand for success? Need more traffic for your online or retail dispensary? Need more foot traffic to your door? Inform people how to find you with flare so they remember. Locally or globally, we have the experience to target new customers and get them to your door. Get the word out about new products. Developed a new strain and want to scream it from the mountain top? Do you have the best edibles in any state? Let us make your marketing plan scream. Make a big noise and enjoy results-based solutions that end in higher sales and engaged return customers. Low conversion rates? Not enough foot traffic to your retail storefront? Google CTR got you down? The Rebel Cannabis Team is here to help! We develop a marketing plan tailored to your needs and execute it to perfection , keeping you in the loop the entire time with data analytics to track campaign success every step of the way. Cannabis Branding is a regionally regulated process. At the present time, each country and territory has some form of rules and guidelines to follow. Let us help. At this time, we handle all streams of web marketing. From social media to brand development and anything in between. After all, we specialize in traffic production to eCommerce platforms and track and evaluate clients success through data analytics and goal achievements. Are you looking for increased visibility in the cannabis industry? Have a new product but not sure how to get it to market. Let us help! Our team has been there before and is here to help with your success. Logos, digital marketing, web design, SEO, graphics, ad design, content writing and so much more. Just ask. Immediate need for social media cannabis influencers, marijuana bloggers and product reviewers. Our clients require social influencers’ to work on campaigns in real time. Contact us today to find out more about our new outreach program and how you can be a part of it. Please reply with your contact information, website or social media account URL as well as the number of followers you promote to in the contact form. In the meantime, with many new companies entering the cannabis space it is hard to know who you can count on for results. Ultimately, we prove our results with examples of success our clients achieve. Rebel Cannabis will continue to set the bar high and let the rest try and reach what we accomplish for our clients. We use proven data analytics to know what is happening on your website and social media and can track campaigns through to the sales platform, make recommendations on how to improve traffic and track the plan to execution. Our Team of Experts in Cannabis works fast and smart and always makes an impact! Contact us today for a Free Consultation or Quote! Email us here! No matter where in the world you are located, we have been there before selling something online. Our team is global with a proven history of new market penetration in markets such as China, United Kingdom, United States, Germany, Poland, Ukraine, and many South American countries. At Rebel Cannabis, we stay versed on all markets as they develop and monitor regulations to make sure our clients are always compliant with local regulations in marketing. Looking to export Canadian Cannabis products to your country? We are here to facilitate the best products for you. Our custom brokerage services will allow you access to the finest marihuana products in Canada and around the world from top producers. Our team can source and arrange production of custom products and brands by licensed producers. Do not get left behind. Bring your products to market. Use our proven system to get your brand noticed. Call today at 226-289-9333. Looking to take a product to market? It is not just a dream, many new products are still needed! Let’s talk about your Cannabis Marketing needs today!! At Rebel Cannabis marketing, we think different and believe originality is key in this newborn industry. The biggest products in the marketplace are yet to be discovered! Do you have the World’s best Cannabis product and no one knows? Need help with the concept? Not sure if your brand is strong and original? Need your brand to stand out from day one? Start with a plan and we will help execute it to perfection. With so many new and emerging markets in the world today, make sure you take your place. Get the leader in Cannabis marketing to work for you!! There is never a fee just to talk. Get your free SEO report today and get started improving your rankings and getting more traffic. We love to hear your needs and concerns and are always here to listen!